Obstructing Medicare Audit Can Get You Jail Time – The Health Law Offices of Anthony C. Vitale, P.A. A 73-year-old Port Charlotte, Florida endocrinologist was recently sentenced to five months in prison, to be followed by three years of supervised release, for obstructing a Medicare audit. In addition, Dr. John Janick will have to pay $118,831.62 in restitution to the Medicare program. Janick, who reached a plea agreement, is alleged to have lied to a Medicare program integrity contractor who was auditing Janick Medical Group. Specifically, Janick falsely claimed that a third-party employer was paying rent for office space being used by his wife, Lisa McLaren Janick. According to the allegations, the office space was used by his wife to improperly access sensitive patient data that was then used to generate bogus referrals from Dr. Janick to her third-party employer, a Medicare home health care company where she was worked as a marketer. In July, Lisa McLaren Janick pleaded guilty to two counts of healthcare fraud. In her plea agreement, McLaren Janick acknowledged her role in falsifying Janick Medical Group patient records as part of a scheme to create bogus patient referrals. She will be sentenced on October 10 and faces up to 20 years in prison. Medicare and Medicaid employ contractors to conduct audits of medical providers. On the federal level, they include Medicare Administrative Contractors (MACs), Zone Program Integrity Contractors (ZPICs), Comprehensive Error Rate Testing Contractors (CERT), Recovery Audit Contractors (RACs), and Unified Program Integrity Contractor (UPIC). In recent years, there has been an increase in the number of Medicare audits. This is due, in part, to auditors’ ability to better access and analyze data. 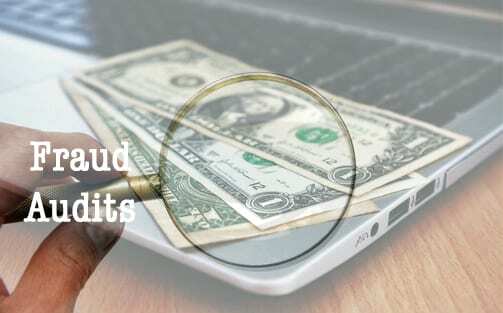 Although routine audits do take place, many are triggered by questionable billing practices. These audits, in turn, can trigger investigations – both civil and criminal – by various law enforcement agencies. In the case of Dr. Janick, the FBI and Department of Health and Human Services Office of Inspector General conducted the investigation. The case was prosecuted by the U.S. Attorneys’ Office. Prevention is key, so if you don’t already have policies and procedures based on Medicare guidelines (aka a compliance program) in place, now is the time to do so. You might even consider conducting a self-audit. If your practice becomes the target of a Medicare audit, or subsequent investigation, this is not the time to stick your head in the sand. First, contact a qualified healthcare attorney and then start gathering records. This might include invoices, patient charts, etc. Never try to alter records, that alone can be the basis for a fraud claim. In addition to fines and possible jail time, those convicted of interfering with or obstructing audits and investigations may face exclusion from Medicare and Medicaid. If you have any questions, contact us at 305-358-4500 or send us an email to info@vitalehealthlaw.com.